Sunday morning is a great time to take a drive up Miami Beach. 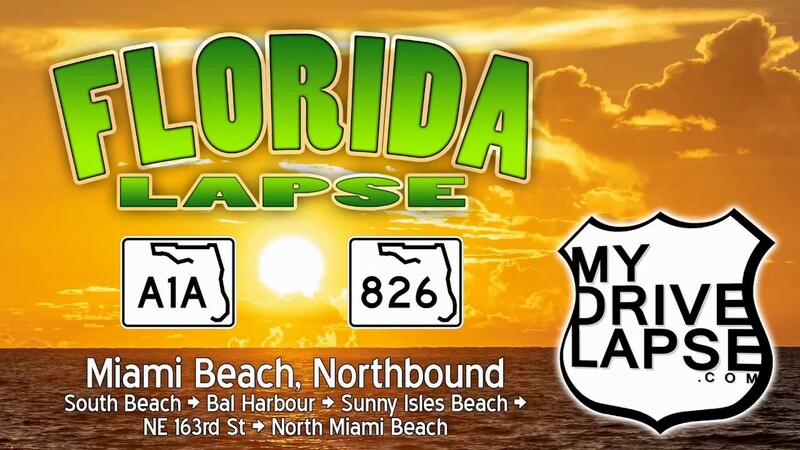 The Saturday night traffic from South Beach is gone, and you can enjoy a nice long drive up A1A from South Beach to North Beach, Bal Harbour, Sunny Isles Beach, and then over to the mainland at North Miami Beach, Florida. I made this northbound drive up A1A in September, 2018, after enjoying a great sunrise on South Beach. You’ll find several places to access the beach along this drive up Miami Beach on A1A, including the North Shore Open Space Park on North Beach. This dash-cam drive up Miami Beach takes you past all of the high-rise condominium and hotel towers that line the beaches on Miami Beach.